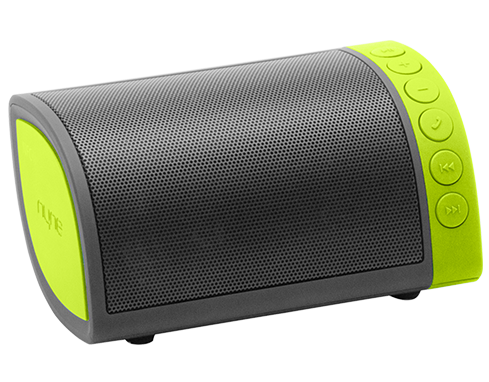 Bluetooth speakers are among some of my favorite gadgets to have around the house. Being able to listen to music wirelessly while being able to share it with others is a real joy and once you go wireless, you’ll never want to go back to any plain old wired setup. 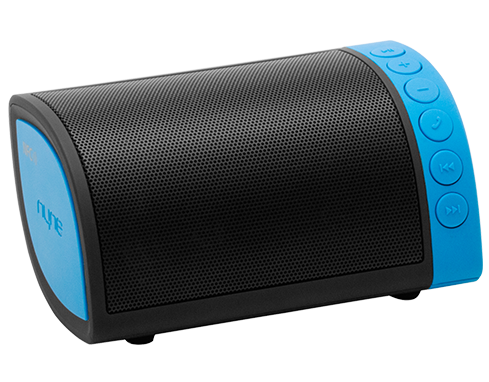 With that said, I’ve looked at a lot of Bluetooth speakers over the years. I have so many speakers now that I don’t know what to do with half of them. However, once in a while you come across one that catches your attention and that’s what the NYNE Crusier did when I heard that this was a speaker that you can attach to your bicycle or anything with a handle bar. Most of you are probably thinking, “Wait. If I bike and want to listen to music, I can just throw on a pair of earphones.” Well, yes you can but do you also know how incredibly dangerous that actually is? If you have your music cranked up with earphones on, that probably also means you can’t hear the traffic around you. We all know how dangerous that can be especially when a lot of drivers these days don’t seem to be very courteous towards bike riders. 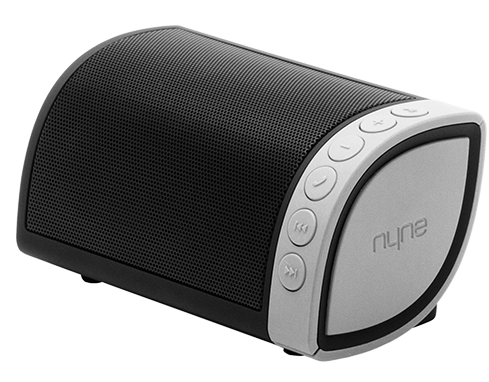 The NYNE Cruiser has quite a distinct shape that is common to NYNE’s line of speakers. It sort of looks like a really thick leaf, like if hundreds of leaves were stacked together. It’s neither a box nor a cylinder and it’s unique design helps differentiate it from all the other speakers out there. The Cruiser seems to be a directional speaker with the speaker portion being on the top part of the unit while the back is mainly all plastic body. This isn’t much of a surprise considering you use this speaker on your bike or whatever and really only need the sound to travel towards you. Also because this is meant for bike riding, the last thing you want to do is fiddle with your phone while you’re riding. That’s why the NYNE Cruiser has a handful of really useful buttons on the top. These buttons allow you to control pretty much everything you need on your phone. You can control fully control music playback, not just play and pause. You can also control volume levels independently of what your phone is set to, and you can even use it as a speakerphone. The NYNE Cruiser since it is made for bicycles includes a handle bar attachment. This part stays put on your bike and is quite easy to install. The Cruiser clips on to this when in use. When not in use or when you need to charge your speaker, just un-clip it from the handlebar mount. It’s that simple. Of course you don’t have to use the NYNE Cruiser on a bicycle as it looks just as good on your desk or on a bookshelf. This is the first speaker I’ve used that attaches to a bicycle. There have been others I’ve used that have things like clips and what not that I could attach to a bag or to my belt, but it’s not the same as actually being able to attach it to a bicycle. Attaching it to the handle bar means easier access to all the controls and the fact that the speakers are directed towards you and not in some random direction. 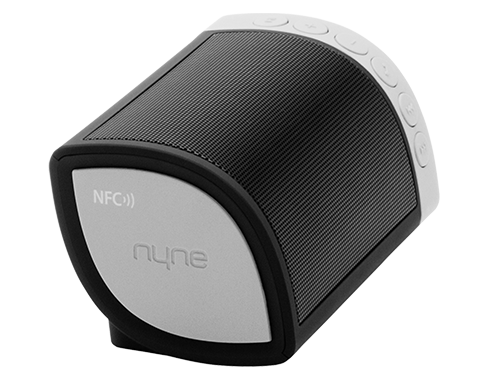 Pairing the NYNE Cruiser is also simple as pie and can be paired using traditional Bluetooth as well as NFC. I use the Bluetooth connection and not NFC so I can’t tell you how pairing with NFC is like. Bluetooth pairing is as simple as always and doesn’t require a pass code. On the iPhone, the buttons on the NYNE Cruiser work flawlessly with music playback and the speakerphone function is nice and clear. The only thing missing is that it doesn’t show the status of the battery on the iPhone’s top bar like some other Bluetooth devices do. Again, the awesome thing here is that you don’t have to take your phone out at all while you’re riding your bike. You can control everything via the NYNE Cruiser meaning you can concentrate while riding your bike and not be distracted by your screen. Sound wise, the NYNE Cruiser sounds very good. Music comes in crisp and clear. It has very good highs and mids, though the bass isn’t as loud or punchy as some may like. Despite that, music still sounds very good with very little distortion when cranked up all the way. Bicycle riders will be quite pleased by how loud you can get it which means not only you can enjoy the music, but so can your friends who might also be on a ride with you. 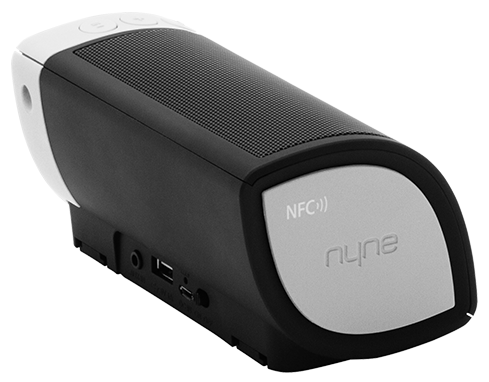 Additionally, if you’re out on a ride and you find that you smartphone is low on power, you can use the NYNE Cruiser to charge your phone by plugging it into the available USB port on the back of the speaker. Because the battery in the unit is good for around 10 hours of use, you should have no trouble squeezing some of that juice out for your phone when in a pinch. 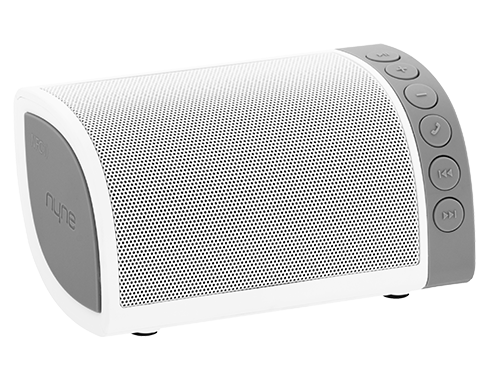 This is a very good speaker for the price especially for all it does. How many speakers do you own that can attach itself to a bicycle handle? I’ve recently become more active in order to live a healthier life and one of the activities I’ve picked up is casually biking with my family. We all enjoy music and it’s nice real nice having the NYNE Cruiser around on our rides around the neighborhood. What I like about this is that not only can we enjoy music, but we can also hear what is going on around us and not be surprised when a car rolls up on us. We can also talk to each other while we listen to music and ride, so that’s a plus as well. 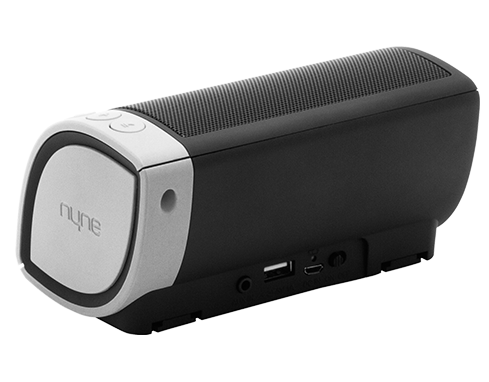 The NYNE Cruiser is a speaker bike riders should consider if they enjoy music on their bike rides. Not only that, it makes a great desk speaker as well as an outdoor speaker when detached. Overall, the NYNE Cruiser is a great value for the price. It’s a low cost speaker that sounds great, provides a unique feature, and it’s one of the few speakers that includes a travel case.